We are thrilled with the work Austin Native Landscaping did for us. Our kitchen window looks out over the front yard, and where there was a dirt patch, weeds, and struggling St. Augustine, we now see a lovely little curvy path with red granite beds on either side, dotted with little shade loving plants and boulders, that leads up to a seating area and front door. Reed is also a proponent of edible and ornamental plants and put in a couple of fruit trees in the sunny side of our yard that my kids are very excited about. 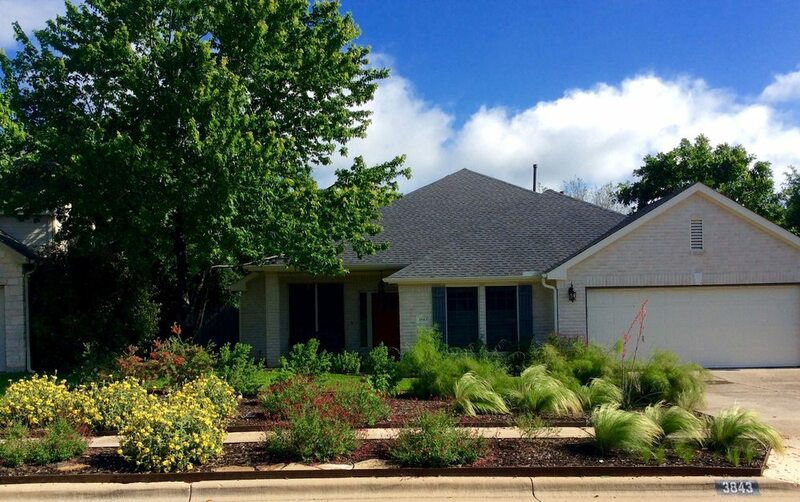 We recommend Austin Native Landscapes to everyone. They created a beautiful plan for us, and installed it in in a timely manner with quality craftsmanship and clear instructions for ongoing maintenance. My neighbors have told me they are watching how the yard does over the next year and I have a feeling we’ll be seeing more xeriscaping in my neighborhood. I look forward to watching it grow.